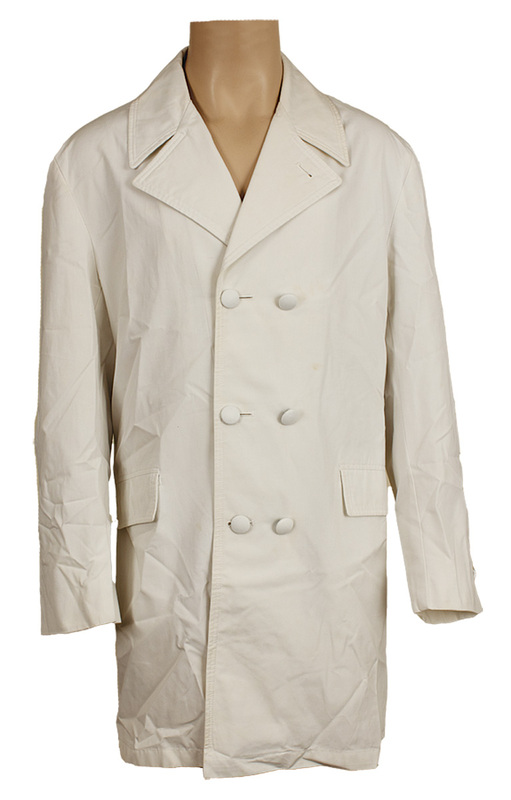 Elvis Presley owned and worn white double-breasted poplin coat with covered buttons and two front patch pockets. 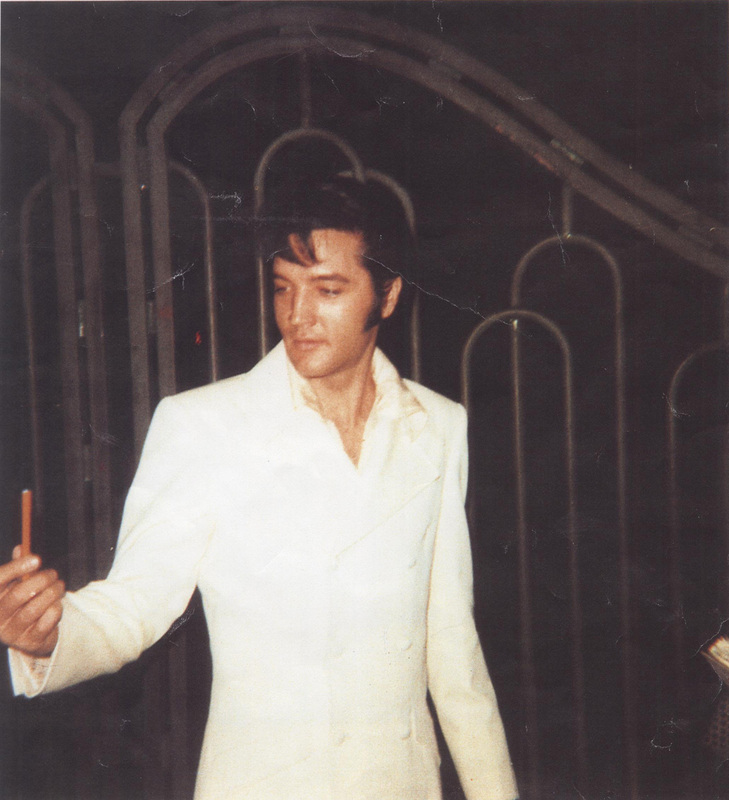 Elvis wore this coat in the late 1960's to 1970's. 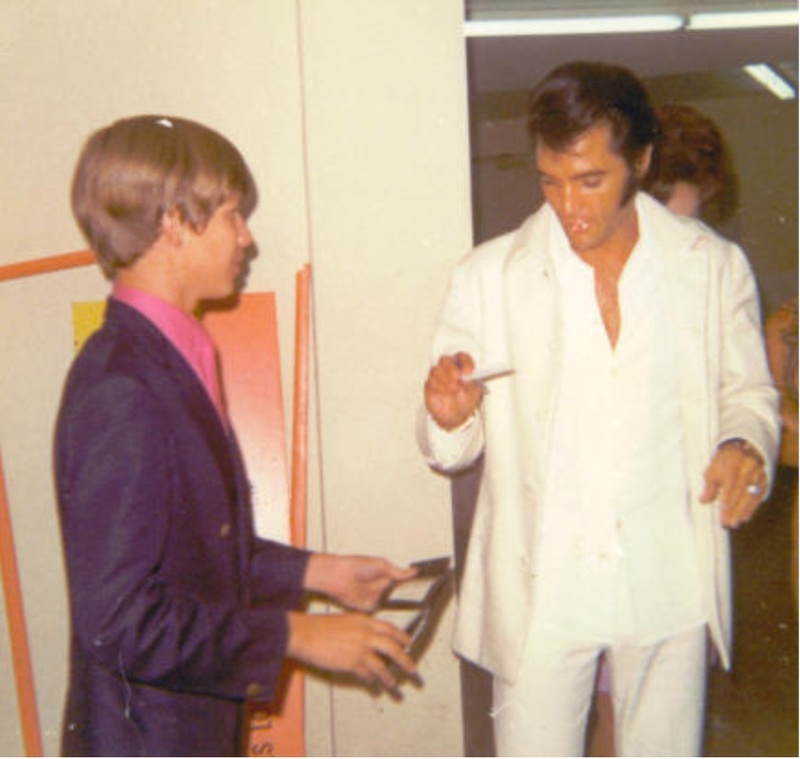 He is pictured here wearing this jacket, or one virtually identical to it on August 1, 1969 in Las Vegas, backstage at the International Hotel, between the dinner show and midnight show, meeting Terry Mike Jeffrey, who was 15 years old at the time. 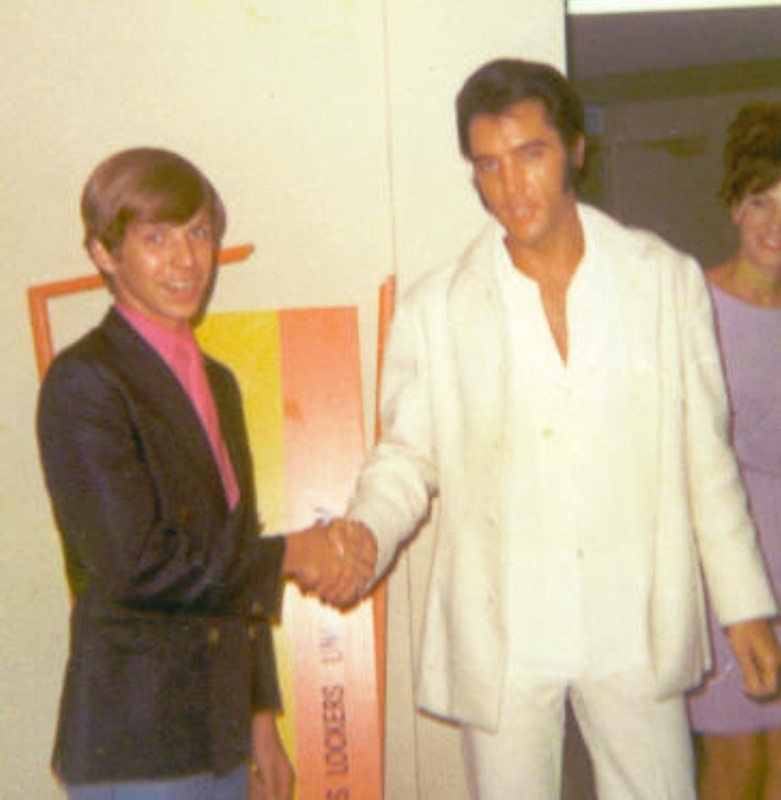 Terry is now a global singer that mainly sings tribute songs about Elvis. 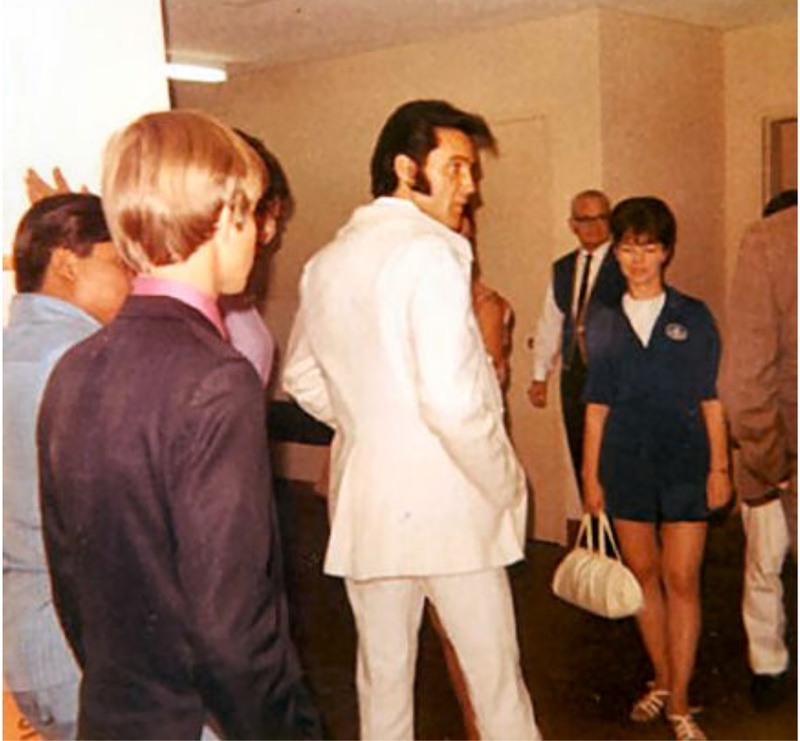 This was Elvis' first “general public” engagement since 1961. 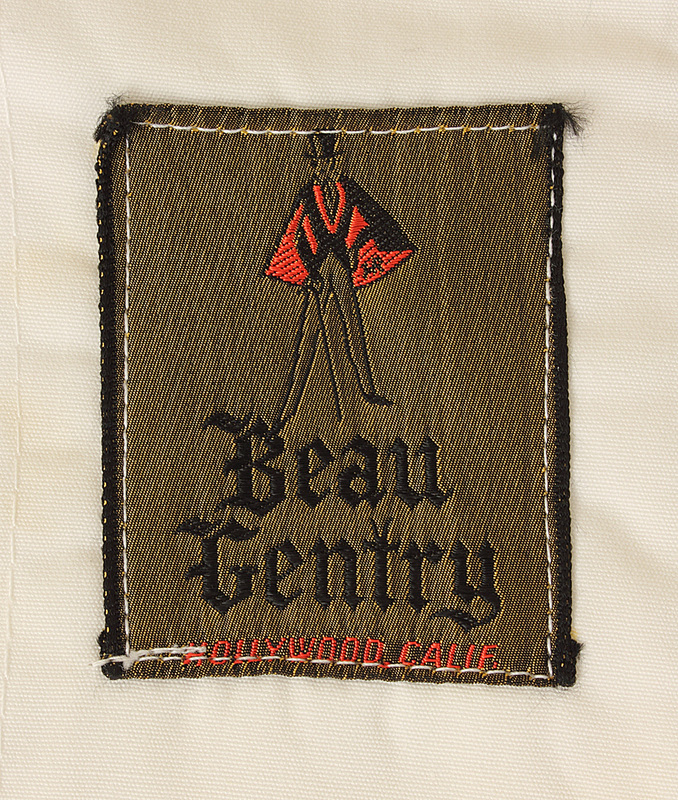 The jacket is fully lined with the label reading "Beau Gentry, Hollywood, California." 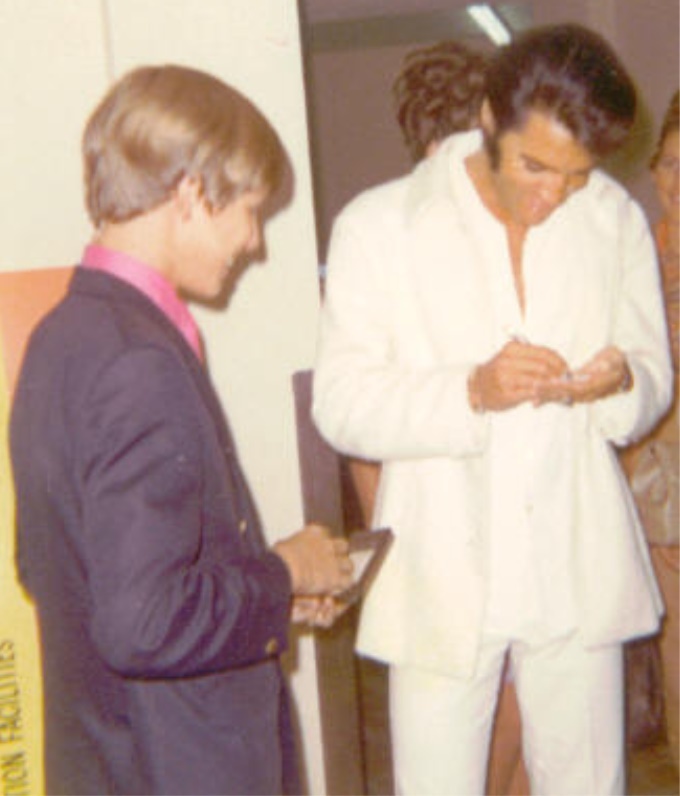 Elvis purchased a lot of his clothes from Beau Gentry in the late 1960's and 1970's. Very good condition. 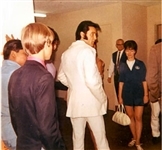 Comes with a certificate of authenticity from Elvis-A-Rama Museum founder Chris Davidson and Jimmy Velvet, photos of Elvis wearing the same jacket, or one virtually identical, and a Gotta Have Rock & Roll™ Certificate of Authenticity.